When we first met this sweet couple last year, we loved learning the story of their clandestine courtship! 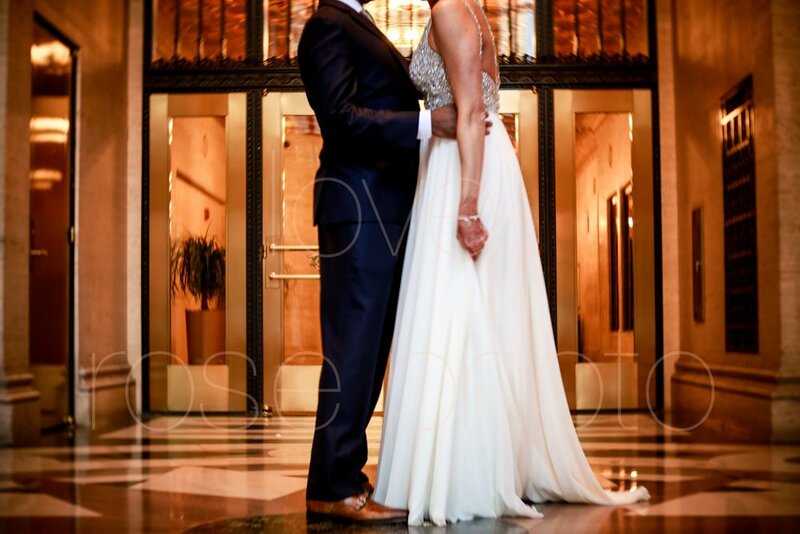 Jenna + Ajay met at work and for the first part of their undercover love, none of their coworkers had any idea that these sweethearts where head over heels for one another. It wasn't until the two became engaged that the office even had any idea that true love was in the air. 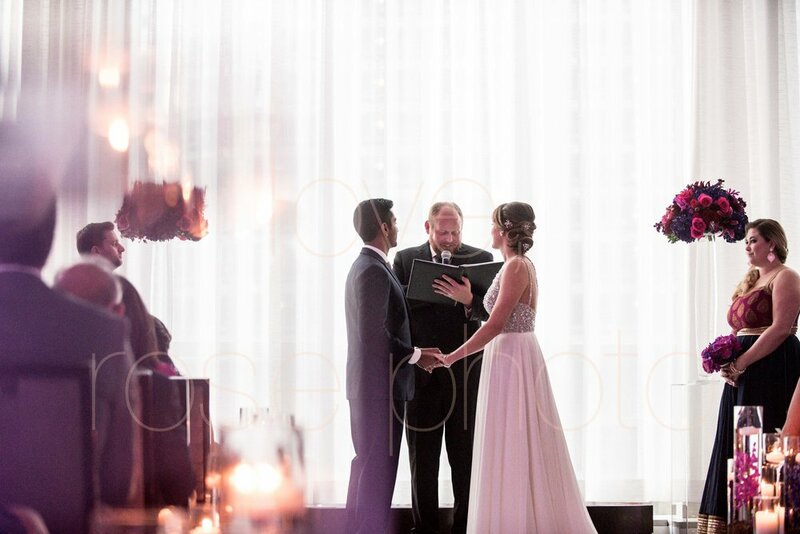 Fast forward the tape to November 5, 2016, on the Magnificent Mile, at the newly opened LondonHouse where the two lovebirds made it official & tied the knot. 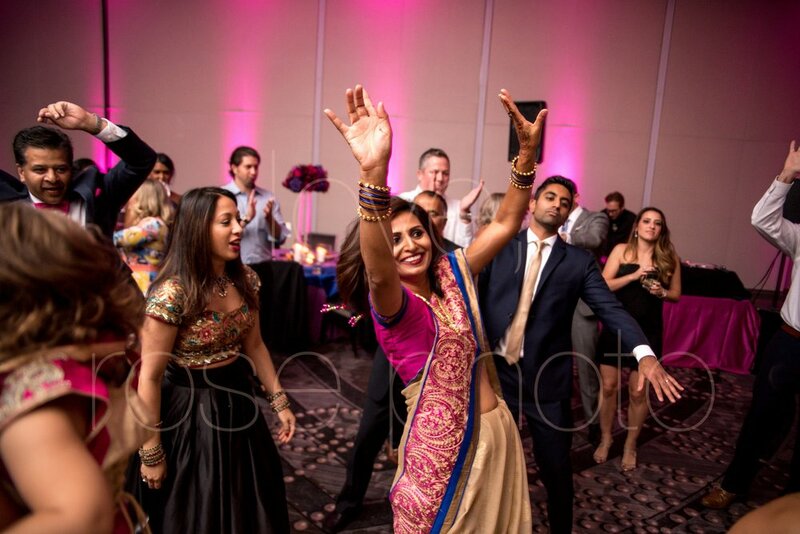 Indian wedding customs circled perfectly with a downtown Chicago vibe that culminated in a great blend of East meets West traditions. 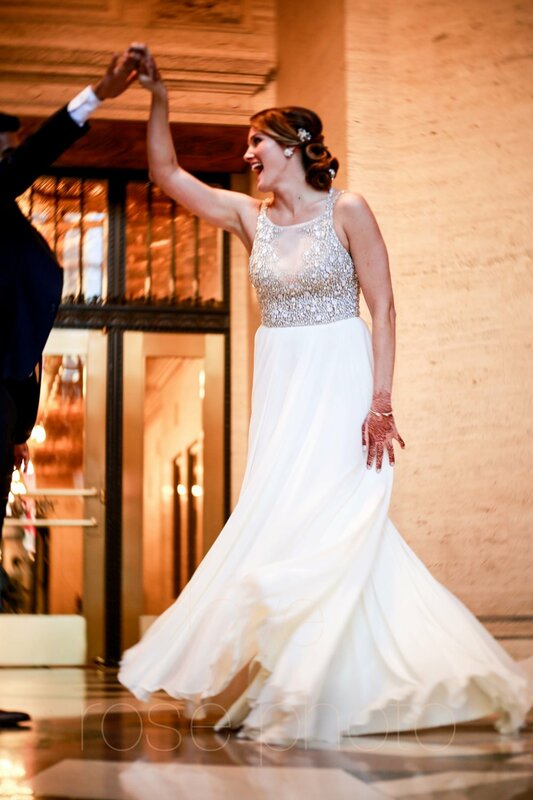 Always a sucker for fashion and the great details of style, we are pretty much obsessed with Jenna's wedding gown designed by a crowd favorite, Hayley Paige. 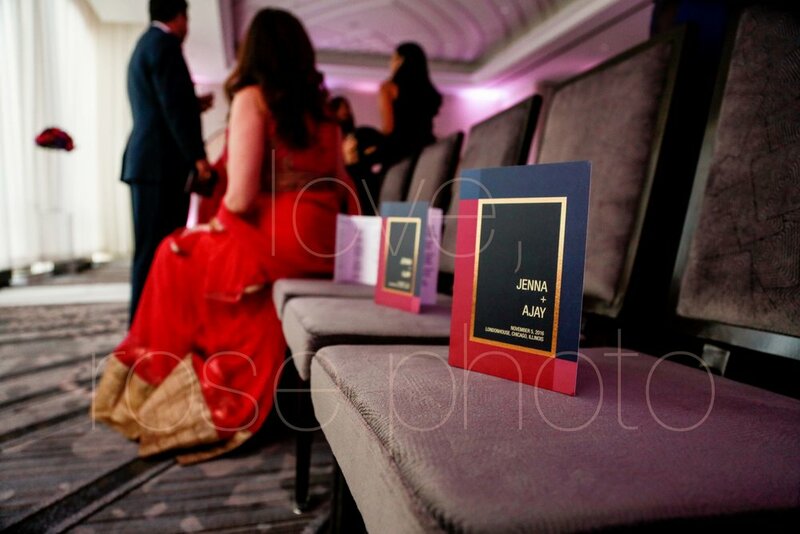 The perfectly paired, sari inspired bridesmaid dresses were a flowing combo of sparkle & class. 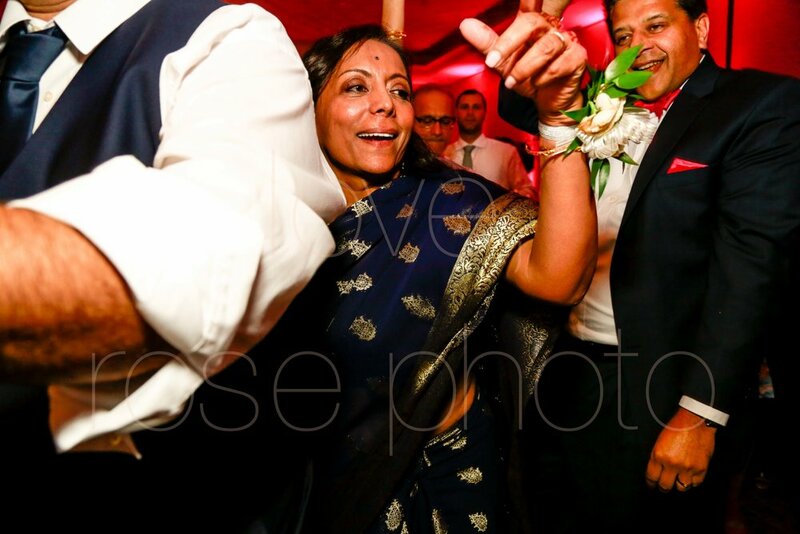 The amount of lush color in the bride's bouquet was mirrored with the gents custom scarves. LOVE THE POP OF COLOR, GUYS!!! 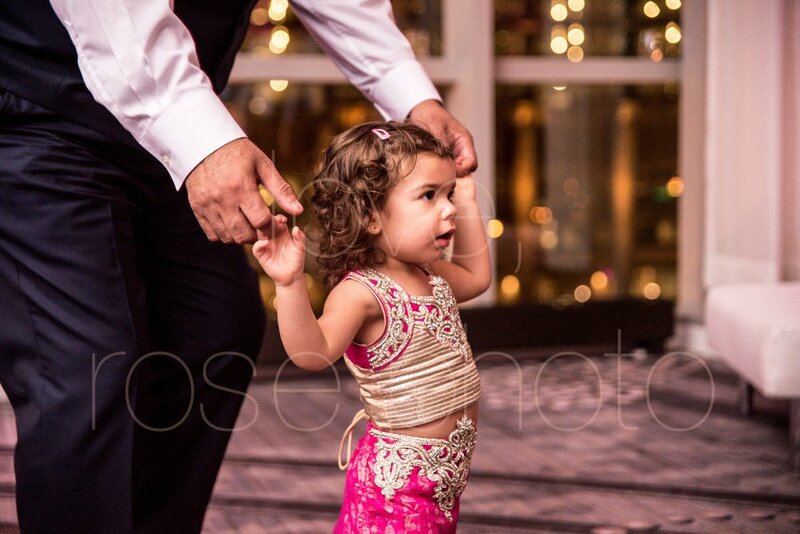 From start to finish, the glam squad was on point at this wedding. So much so that when push came to shove, quite literally, our henna clad, bedazzled bridal party pitched in to move a very large obstacle out of the way of our first look!#SQUADGOALS. With a crew like that, dressed to the nines in such a stunning venue, it's no wonder we are gaga over this set of wedding day photos! 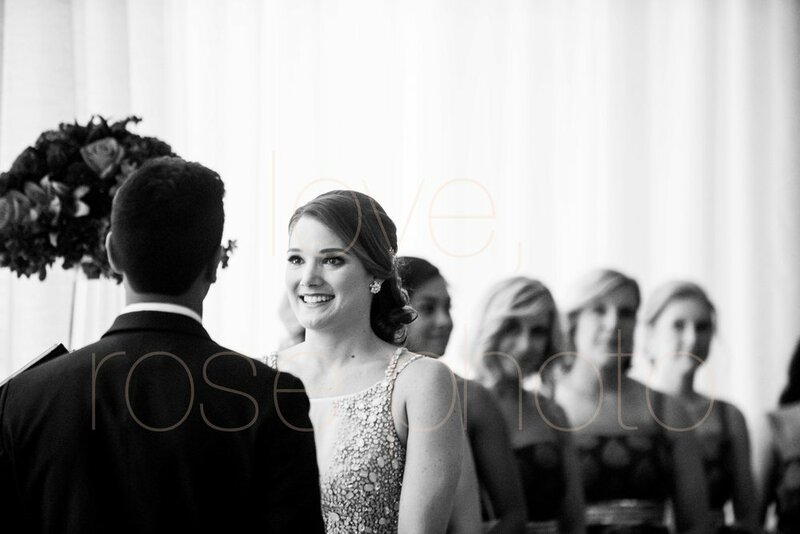 Dearest Jenna + Ajay ( and your amazing SQUAD, too!!) 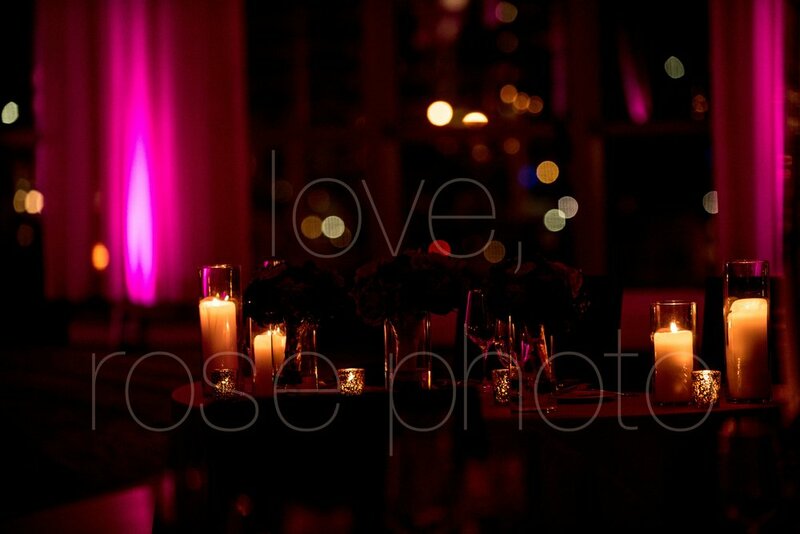 we were sincerely honored to be a part of your gorgeous wedding celebration. 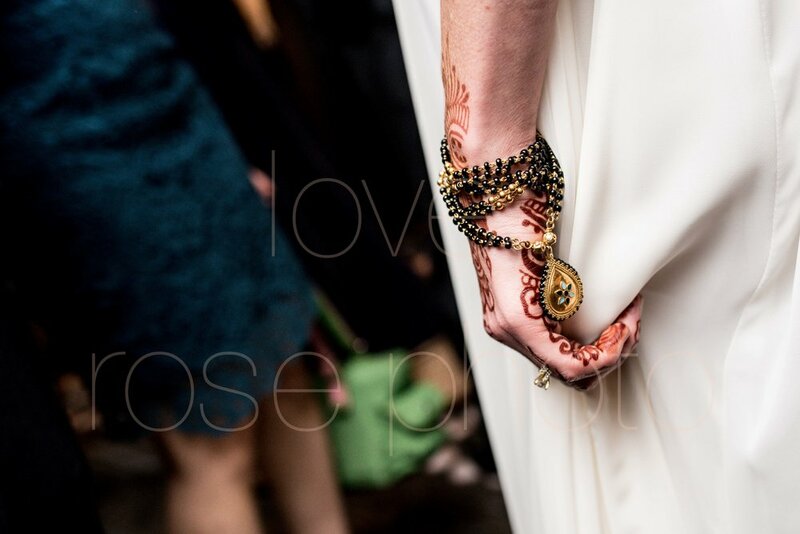 We cannot wait to capture more of your story and share all the photo love!